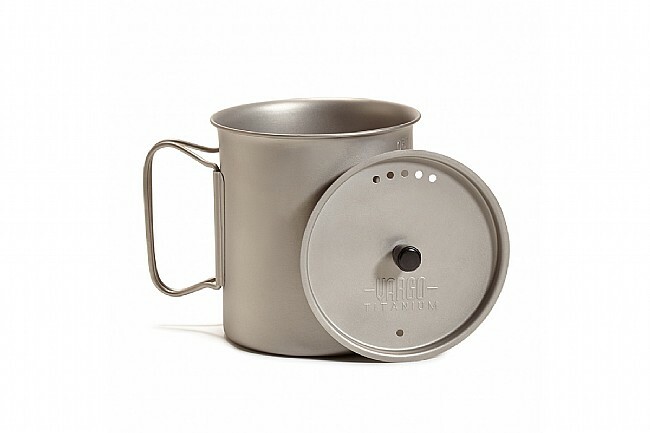 The first of the Vargo cookware line, the 750 ml Vargo Titanium Ti-Lite 750 Mug is still one of Vargo's most popular and versatile products, but now they've lightened it to be over an ounce less in weight. 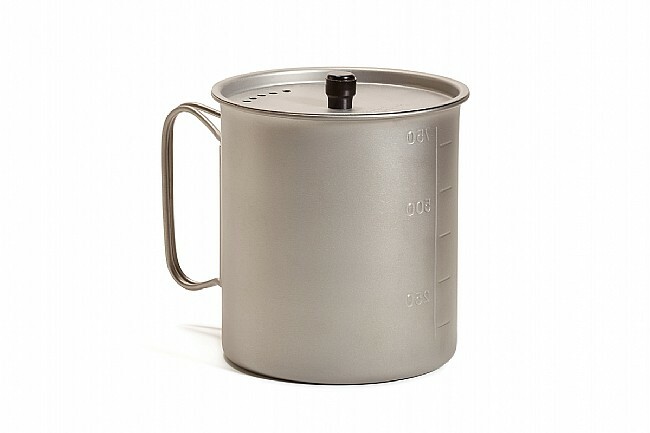 Large enough to cook single entree meals yet small and compact enough to enjoy an early morning cup of coffee or tea while fitting anywhere in your pack. It fits a 32 oz. water bottle inside to make packing even easier! Topped off by the Vargo original strainer lid with heat-resistant knob, this is an essential piece of cookware you won’t want to leave home without. 750 ml capacity (25 oz).